Thanksgiving is one of the busiest and most important holidays of the year, but it’s not always the most kid-friendly. While you slave away in the kitchen, your kids may get bored playing with their toys or going outside until dinner is ready. This year, why not have a table set up where they can make some fun Thanksgiving crafts a few days before and on the day of the big feast? Some may require adult supervision so if you’re not the only one cooking, take a break and help them create something to remember the day by. One of the most classic Thanksgiving crafts for kids is the hand turkey. Although kids normally make them in school, it’d be fun to have a whole flock of turkeys from each of your family members. 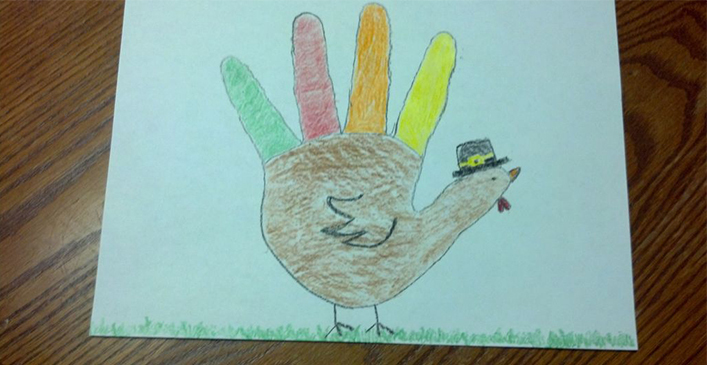 All you need is some white paper, crayons, feathers and googly eyes to create your hand turkeys. Have each family member trace their hand and then cut it out, decorate, and attach it to a large piece of paper to make your happy little turkey family. Don’t you just love fall? Here’s a Thanksgiving craft inspired by the changing leaves of the season. Take your kids outside and collect some big, nice looking leaves that have fallen from oak trees, maple trees, and the like. Put a small piece of tape on the back of each and have them place the leaves across a large piece of sturdy paper. 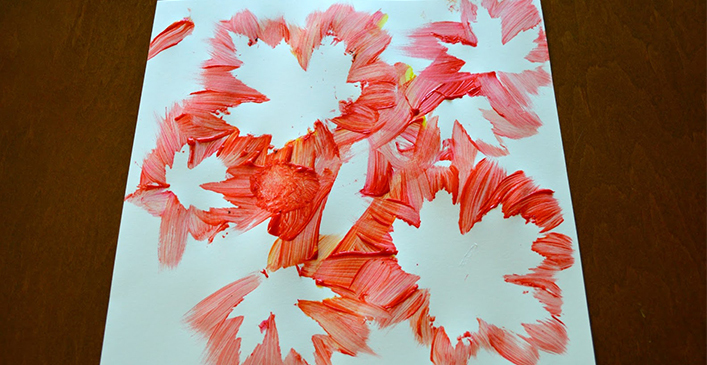 Give them some acrylic or finger paints and have them go to town, painting over and around the leaves to their hearts’ content. When they’re done, you’ll have a beautiful piece of art to decorate with for Thanksgiving. 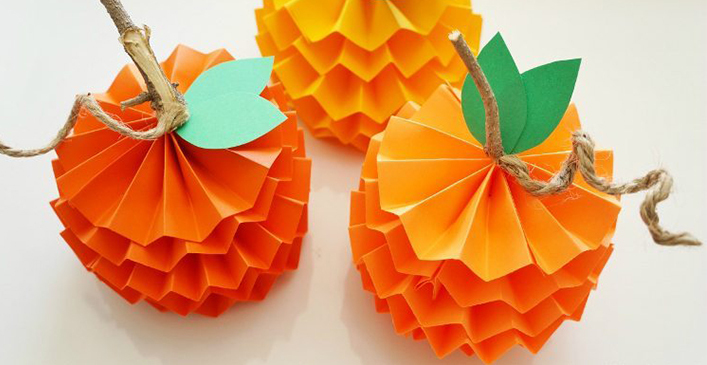 These paper pumpkins are a little more complicated than some of the other crafts on this list, so save this one for children over the age of seven. Create 10 accordion strips out of two sheets of colored paper for each pumpkin. Hot glue two strips of the same size together to form medallions; you should end up with five in all. Glue them on top of each other starting with a medium sized one, followed up two large ones, another medium sized one, and a small one on top. Decorate with paper leaves, real twigs for the stem, and twine for the pumpkin vine they grow on.